1958 — Bobcat Company (then known as Melroe Manufacturing Company) introduced its first compact loader — the model M60 Melroe Self-Propelled Loader — marking the start of the compact equipment industry. 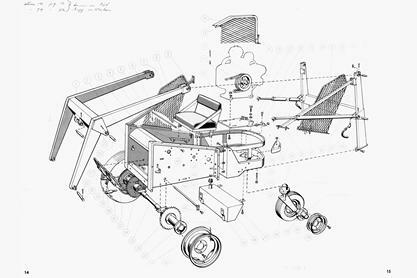 1988 and 1991 — Fortune magazine named the Bobcat skid-steer loader one of “America’s Best 100 Products.” Numerous patents have been awarded to Bobcat Company for its product and manufacturing designs. 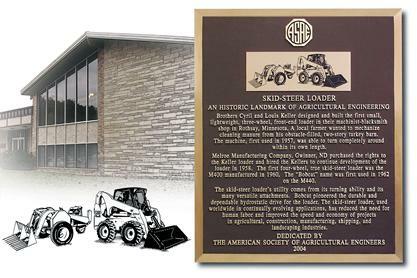 2004 — The American Society of Agricultural and Biological Engineers (ASABE) honored Bobcat with its “Historic Landmark” award for the invention and development of the skid-steer loader. 2009 — The Smithsonian Institution’s National Museum of American History acquired Bobcat Company historical records for its Lemelson Archive Center. The collection includes advertising, films, videos, photography, product literature, newsletters, papers and speeches from the 1940s to 2008, detailing the company culture and a classic American success story of manufacturing, marketing and entrepreneurship. 2014 — Members of company founder E.G. Melroe’s family were named to the Association of Equipment Manufacturers (AEM) Hall of Fame, recognizing their contributions to the development of the Bobcat® skid-steer loader and the compact equipment industry. The Hall of Fame recognizes, celebrates and preserves the history of outstanding leaders in the off-road equipment industry.